You Are Here: Home > What’s New for the 2019 Jeep Grand Cherokee? What’s New for the 2019 Jeep Grand Cherokee? 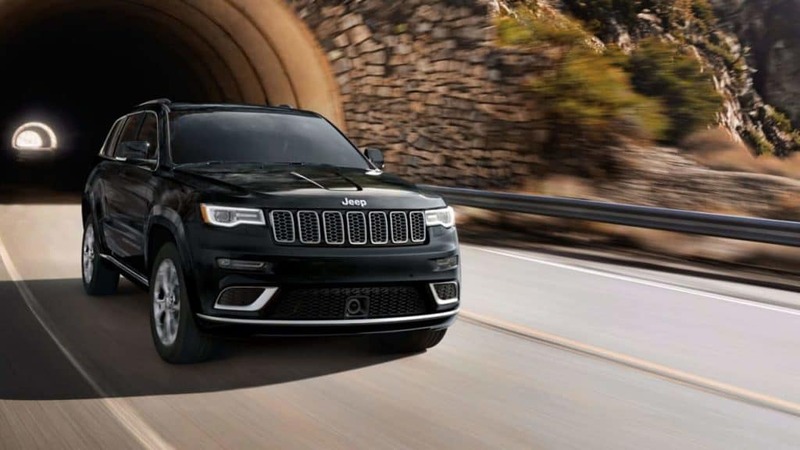 The Jeep Grand Cherokee returns for 2019 with a host of features that made the 2018 model year great, plus advanced technology and safety updates that make it even better. The newest Grand Cherokee and its rugged off-road capability with high-tech features is sure to meet – and exceed – all your expectations. Take a closer look at what’s new for 2019 and visit your local Jeep dealer, Troiano Chrysler Dodge Jeep Ram, for a test-drive. Compared to the previous model year, the 2019 Cherokee delivers more in safety and style. It now comes standard with the Blind Spot Monitoring System with Rear Cross-Traffic Assist to help you stay alert on the road. All the trims also come standard with Apple CarPlay and Android Auto, which are essential for any good road trip. Finally, you can choose to add on the new Limited X Package to receive a special graphite trim and other style enhancements. The Grand Cherokee takes performance seriously. It has a diverse engine lineup, which includes an available Supercharged 6.2L HEMI V8 with an impressive 707-horsepower. With so much power under the hood, the SUV packs a lot of torque and intense acceleration. The Grand Cherokee is also Trail Rated, which means you can trust it to overcome just about any road condition thanks to its premium traction and maneuverability features. For more towing and off-road action, select the ever-capable Trailhawk trim. Inside the Grand Cherokee, you and your passengers will enjoy premium materials, style and innovative technology. There are multiple different colors and fabrics to choose to suit you best. For example, the Trackhawk offers black and dark ruby red Laguna leather seats for a sport-inspired appearance. The Grand Cherokee also comes available with a large 8.4-inch touchscreen display with Navigation and Siri to stay on course to your destination. Additional features, like Forward Collision Warning with Active Braking, as well as Park Assist, make this SUV just as capable on city streets as it is on backcountry trails. Interested in learning more about the 2019 Jeep Grand Cherokee? Explore the trims and schedule a test-drive at Troiano Chrysler Dodge Jeep Ram in Colchester, CT. Call 860-537-2331 for more information.